How to simply diagnose 230V grid supply presence? 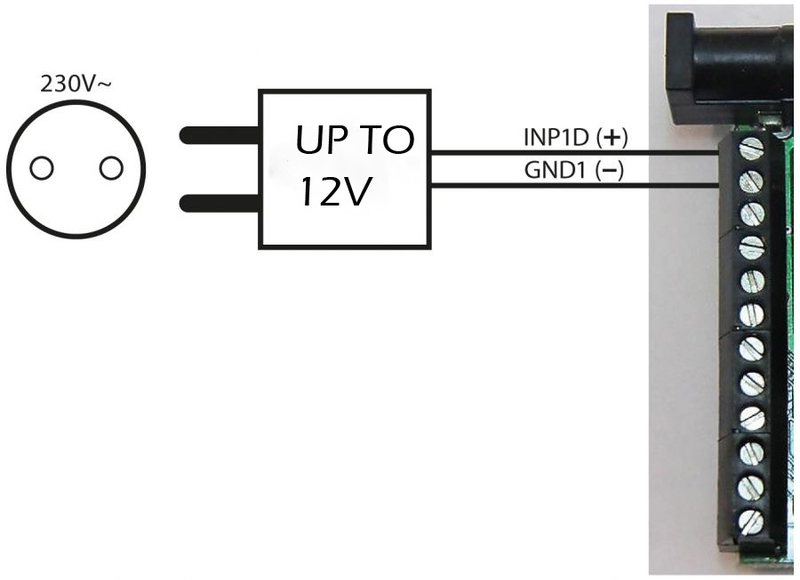 The simplest way is connect AC/DC adapter to digital input INPD. Necessary DC voltage is from few Volts to maximally 12V and better use the small power adapter (higher powers have big capacitors and it will result longer fault grid presence). Connection as on diagram below. 230V is diagnosed as high state, blackout as low state. How to create a program yourself for Android to support Lan Controller? Google , along with the technical university MIT have provided somerhing interesting tool App Inventor to build applications in Android without any knowledge of Java or programming languages. The code creates literally a soul , it is necessary to know only the rules of logic to build algorithms. Currently available version is Beta App Inventor , which requires a browser and open applications in Java and the second version of App Inventor 2 , where just the same przglądarka . Unfortunately , though , this version looks very promising , the absence of her examples, and even modest dokumenacji . To use these tools , you must have an account in Google Gmail . Building applications , as in conventional programming languages ​​consists of defining and routing code. In this case, however, we define graphically just the look of our application and choose the ingredients which we will use . It is as selecting and arrangement of the components on the cake .